Agribank has become the latest Zimbabwean bank to integrate with the EcoCash mobile money transfer system. The announcement was made today at a press conference jointly held by the bank and Econet Wireless in Harare. The integration is basically the same as that which Econet has secured with 3 banks so far i.e. to allow EcoCash customers to transfer money between their Agribank account and their EcoCash wallet, and the ability to do that even when they are out of the country. Speaking about the new partnership with Agribank, new EcoCash CEO, Cuthbert Tembedza said that with such partnerships Econet is addressing the problem of the last mile to enable more coverage for banking services. Tembedza added that Econet would like to just focus on the infrastructure issues to facilitate banks to do “what they do best”, banking. The CEO of Agribank, Sam Malaba said during the conference that as a bank they were excited with the integration. “Money transfer agencies traditionally tended to be complimentary to what banks provide,” Malaba said about the new relationship with EcoCash, “we believe our relationship with EcoCash is a complimentary relationship, it’s not a competitive.” Malaba also encouraged other banks locally to embrace such “win-win” relationships. Speaking at the conference EcoCash Services CEO, Darlington Mandivenga said that Agribank was one of the banks to embrace EcoCash a few months ago by becoming a Super Agent and that this had helped Econet’s agent ecosystem. Mandivenga acknowledged that Agribank’s 48 strong (rural biased) branch network meant that agents in remote areas could, if they ran out of float, easily buy more cash at an Agribank branch. 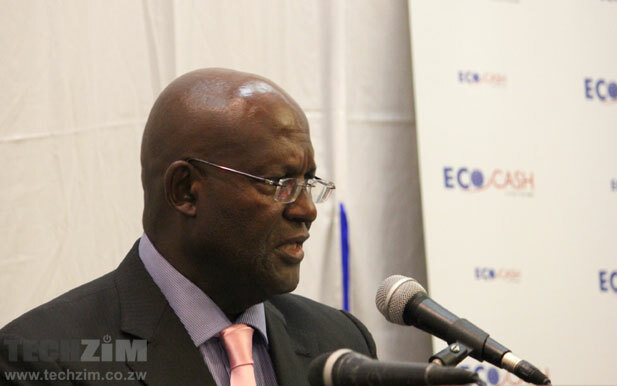 On other developments with EcoCash, Mandivenga said that onward the company will not be announcing such integration with banks via press conferences as they are moving on to “bigger things”. Mandivenga hinted that one such big development will be announced in the coming week and that it will excite “everyone” in the EcoCash ecosystem. We don’t want to wait a week to find out what this will be of-course so we’ll keep our ear on the ground. In the meantime, if you’re an Econet staffer and know what this exciting piece of info, it won’t hurt to give us bits of it the comments.